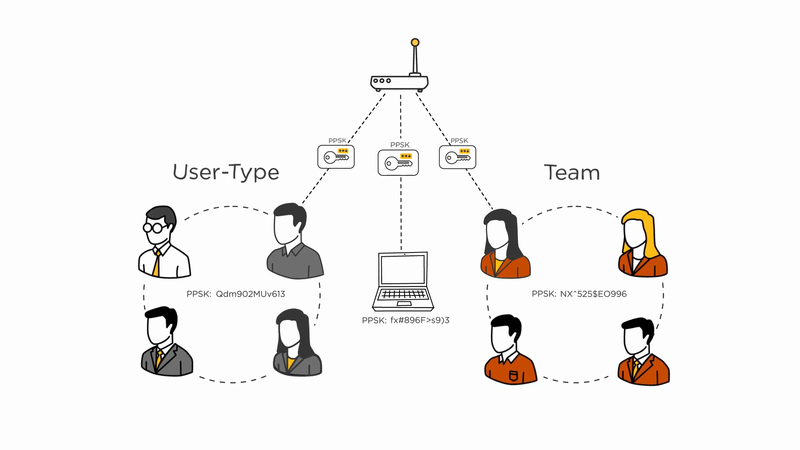 Private PSKs are unique pre-shared keys created for individuals or groups of users on the same SSID. No complex configuration required for clients. The same simplicity of PSK, making it ideal for IoT, BYOD, and guest deployments. Supported on most devices, where 802.1X may not, enabling stronger security for IoT. Easily revoke access, for a single device or individual, without affecting everyone else. Thousands of keys can easily be managed and distributed via the cloud or mobile applications, and self-registration. 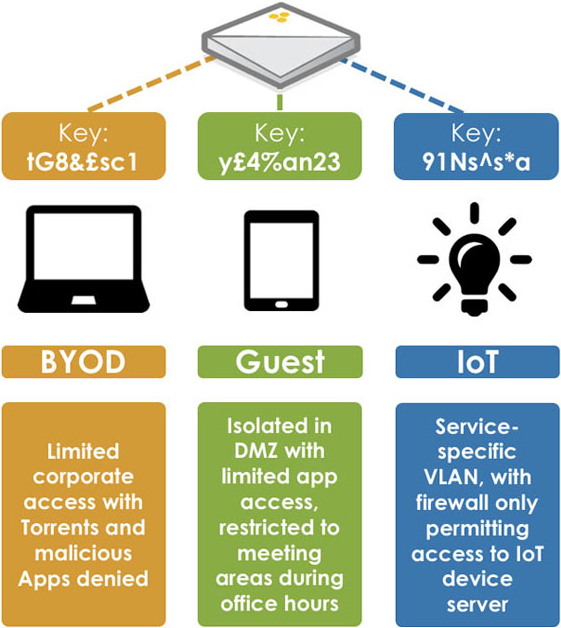 Customers can create (and revoke) tens of thousands of unique keys for individual or groups of devices on the same SSID that can be securely managed, monitored, and distributed via the cloud, mobile applications, or user self-registration. Want to see how easy it can be to manage devices, check out our guest management applications that deliver self-serve PPSK’s.